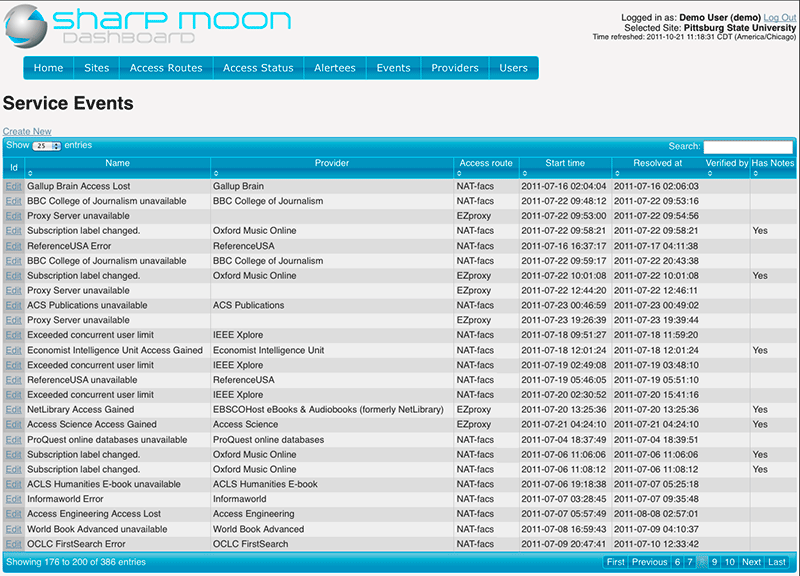 FREE 21-day trial of Callisto for Libraries » Sharp Moon Inc.
Callisto™ from Sharp Moon is the only product that can find exactly where and when your electronic resource subscriptions are incorrect and notify you of multiple types of access problems as they occur. 21-day FREE trial — no commitment required. We can help you configure the service in less than one hour. In some campuses, you can implement Callisto without needing any IT department assistance. Most of the e-resource problems reported by Callisto are caused by the content providers themselves. Providers casually meddle with your authorized IP ranges and titles during your paid subscriptions and it’s left to you to discover their mistakes. Incredibly, many providers allow one institution’s subscription to disable another’s existing subscription. 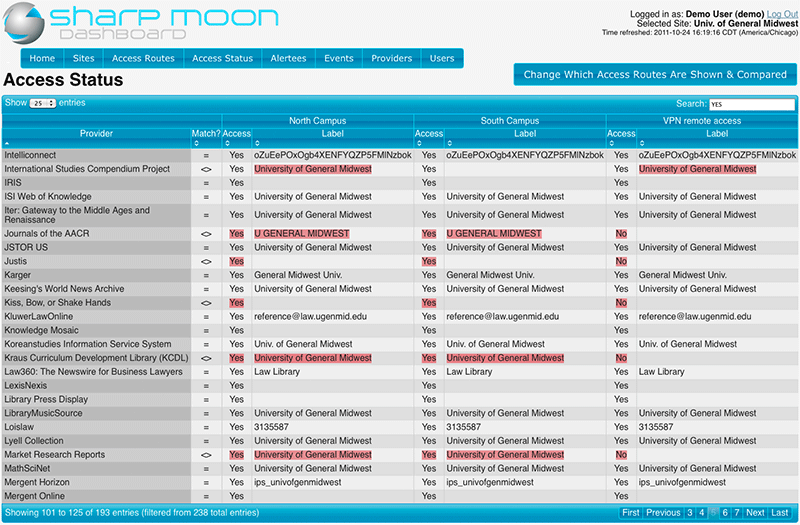 In libraries with distributed personnel handling subscriptions there is another layer of chaos — with many people configuring your supposedly campus-wide subscriptions, incorrect IP ranges or co-branding information can get submitted. Every academic library that has used our revolutionary Callisto service on multiple networks discovered immediately that between 5% and 23% of their e-resource subscriptions were configured wrong, with missing access for sections of their campus!